The Melanoplus devastator is a native species to North America and no recorded case of them has been seen outside of North America. More specific ally these large grasshoppers live on the western coast of the United States. 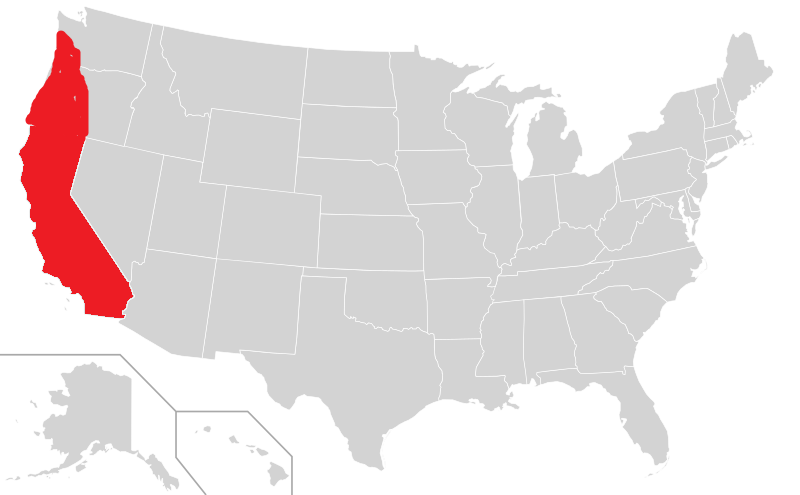 The states they occupy include California, Oregon, Nevada, and Washington. This area in the U.S. has been classified as a ‘biodiversity hotspot’ and the devastating grasshopper is part of that diversity in these places. 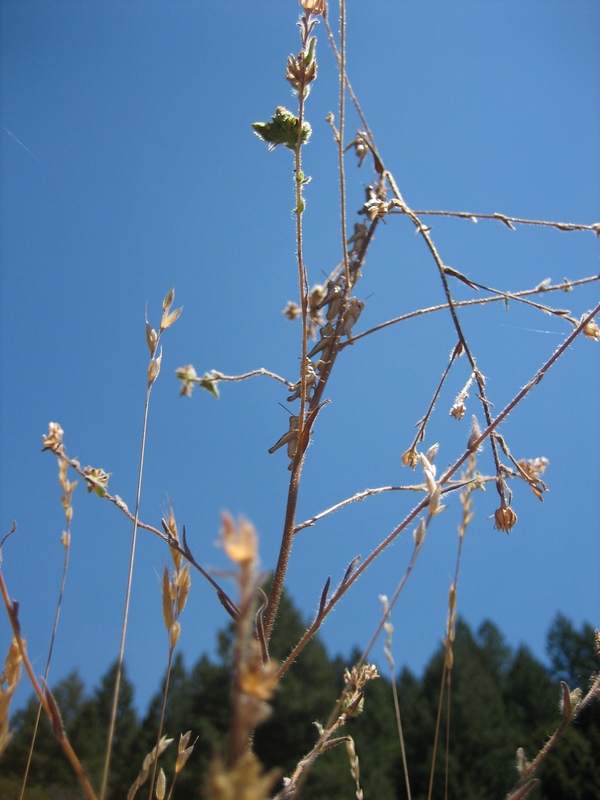 The devastating grasshopper lives mostly in the Central Valley and northwards along a narrow land strip to Oregon (Roff and Mousseau 2005). The Central Valley is a large flat valley that takes up most of the middle state of California and is surrounded by the Cascade, Sierra Nevada, and the Tehachapi mountain ranges. It w as seen throughout multiple studies that these grasshoppers prefer to live in low altitudinal settings, especially along the foothills of the Sierra Nevada and the along coast of Monterey Bay to just north of Las Angeles (Dingle and Mousseau 1993). The grasshoppers prefer the heat and will die if they live in undesirably cold weather for too long. For these reasons the devastating grasshopper is seen at lower elevations and at the foothills in the Central Valley (Tatar et al. 1997). This preference can be seen in the clines that are maintained between the Melanoplus devastator and the M. sanguinipes (Orr 1996). 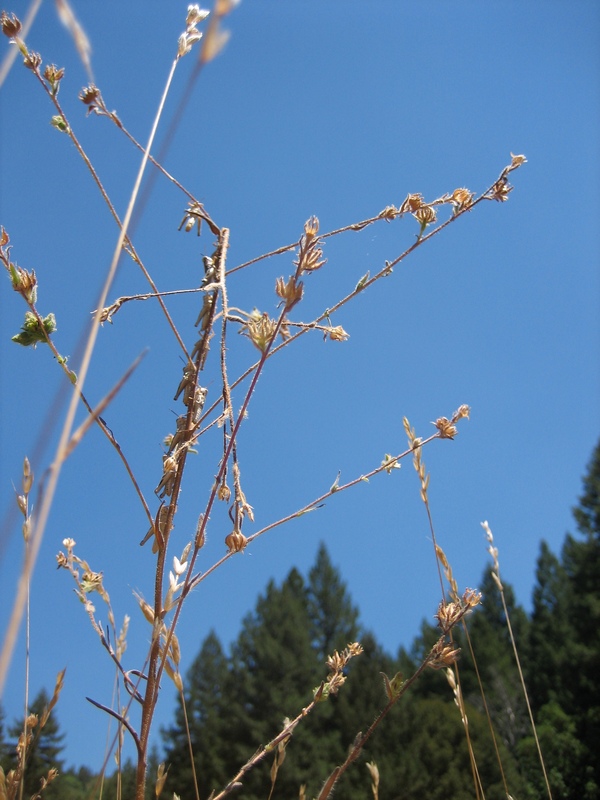 The clines refer to a species boundary that is marked along the sides of the Sierra Nevada, and is prominent by looking at species morphology. The M. sanguinipes is a sibling species to the M. devastator (Roff and Mousseau 2005.). The two sibling species are closely related because they share many of the same characteristics with only a few life history and reproduction traits being different about them. The Melanoplus devastator has to adapt to the environment in which it lives. The weather and climate that it is exposed to has a wide range of both summer and winter conditions (Dingle and Mousseau 1993). During the summer, this grasshopper has to adapt to the long and dry months in a unique way. These grasshoppers go through a reproductive diapause in the hot mid-summer months (Orr 1996). This is addressed in further detail in the Form and Function section. In the winter months, the grasshoppers have to lay their eggs in the soil, away from the cold. If the eggs come into contact with snow or the freezing soil, they will die and there is no way for any of them to hatch once the weather warms. (Roff and Mousseau 2005.). The devastating grasshoppers are unique to a specific area, making them vulnerable to the climate and weather that happen in their specific area. They have made certain adaptions to the area in which they live and have made it a specific area for them. This being said, it is hard to find this grasshopper outside of its rangeland habitat in the northwestern part of the United States since the Melanoplus devastator has become very specialized to its habitat. One of the main adaptions that has occurred is reproductive diapause in the females, making this adaption special to them and a very important factor in how they reproduce and survive in the environment in which they thrive.